Manga publishing pioneer TOKYOPOP is back ... bringing readers "Finding Nemo," a retelling of the film in manga style, just in time for the long-awaited sequel, "Finding Dory". Hardcover collectible with exclusive bonus features, manga illustrations, Pixar sketches and an original cover! Based on the beloved DisneyoManga publishing pioneer TOKYOPOP is back ... bringing readers "Finding Nemo," a retelling of the film in manga style, just in time for the long-awaited sequel, "Finding Dory". Hardcover collectible with exclusive bonus features, manga illustrations, Pixar sketches and an original cover! Based on the beloved DisneyoPixar classic, this manga follows Marlin, a clown fish, who is highly overprotective of his son, Nemo. When Nemo gets caught by a diver and ends up in a dentist's fish tank, Marlin stops at nothing to find him and gets a little help along the way from a blue tang named Dory. 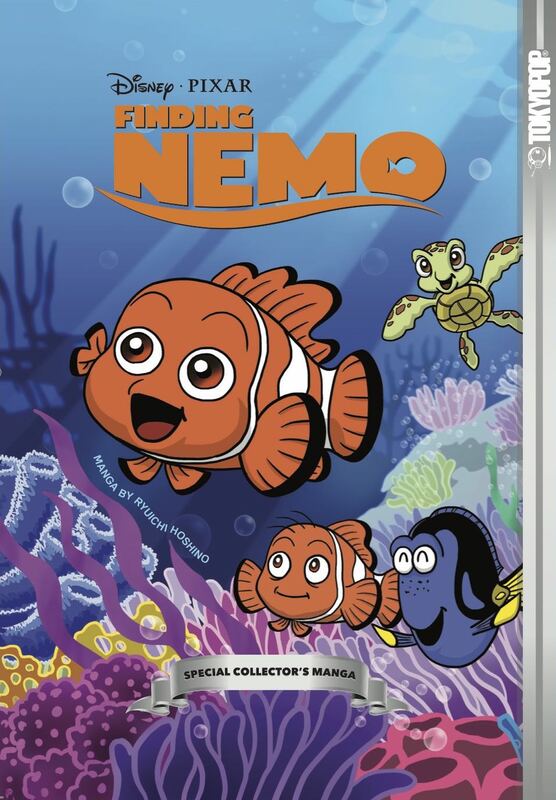 Pixar classic, this manga follows Marlin, a clown fish, who is highly overprotective of his son, Nemo. When Nemo gets caught by a diver and ends up in a dentist's fish tank, Marlin stops at nothing to find him and gets a little help along the way from a blue tang named Dory.